Rarity Season is Upon Us! I do like a good storm system. Especially as Rarity Season is now upon us! So besides our desperately-needed rain, I was anxious for this weekend’s weathah in the hopes it will set up some action for my favorite time in the birding year. The winds turned east on Thursday (10/20), and strengthening easterly winds, scattered showers, and developing fog minimized the migration overnight into Friday morning. 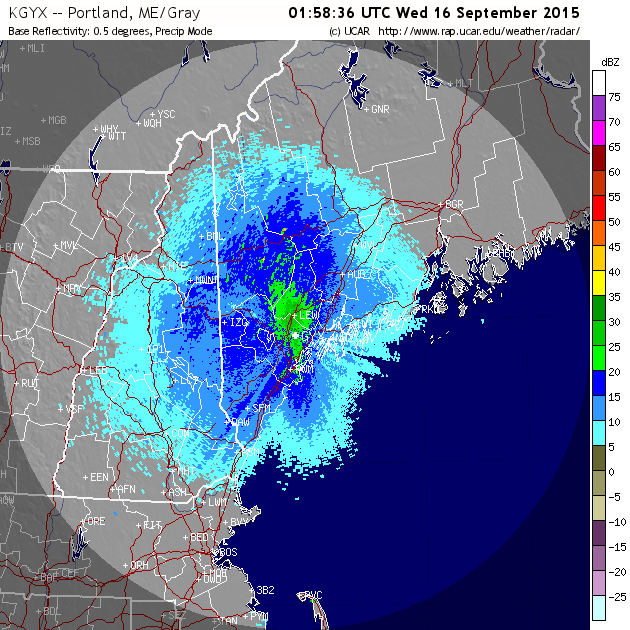 It was hard to tell from the radar is there was some limited, low movement, which would be indicative of the sparrows that move this time of year. Florida Lake Park was slow in the morning, though, and nothing new was under our feeders at home or at the store, however. During the day on Friday, a shortwave moved out of the Ohio Valley, and overrunning precipitation fell during the day. By dark, however, that low was deepening and strengthening, and overnight, it tapped tropical moisture, leading to torrential rains, isolated thunderstorm, and by far our best soaker in at least 6 months: 3-6 inches of rain fell over the area! Southeasterly winds turned back to the east before going calm with thickening fog by morning. Fog and a little drizzle on Saturday morning was all that our Saturday Morning Birdwalk had to contend with on our outing to Wolfe’s Neck Farm; it does seem like there are more Laughing Gulls around later this year than I can ever remember (just the warm weather or are these related to Hurricane Mathew?). The low slowly moved into the Canada, with an onshore flow (I had hoped for more southwesterlies) throughout the day. On the backside of the system, winds shifted to the west overnight while more rain and showers continued from the afternoon through the first half of the night. Winds were howling west by the morning, and the air definitely felt seasonable for a change. …and the temperatures falling (and even some snowfall was seen in the mountains!) 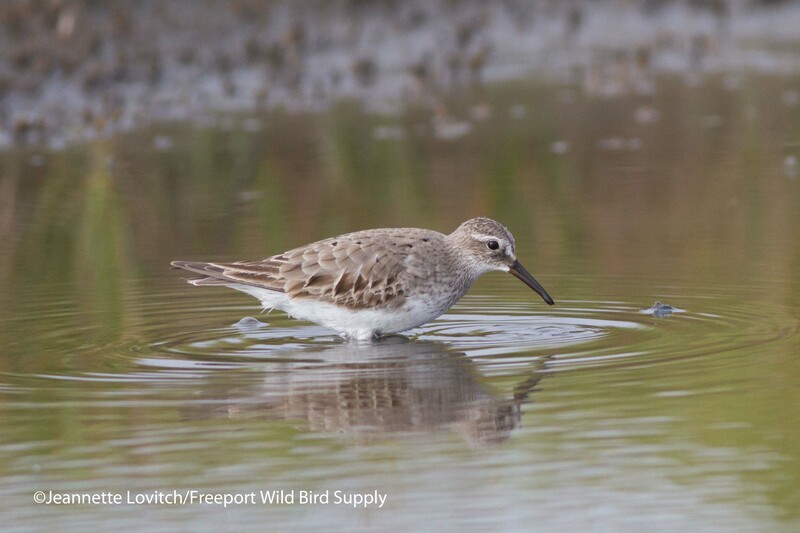 it’s time to really go birding! And with my Rarity Fever stoked, a productive morning of scouring the southern 1/3rd of the island yielded the seasonal rare-but-regular stuff that makes one keep coming back: A Clay-colored Sparrow, a Yellow-breasted Chat, and an Orange-crowned Warbler (my second of the season). Add to that single Nashville and Palm Warblers among a total of 6 species of warblers, a fly-by flock of 57 Brant, 8 lingering Red-winged Blackbirds, a good Northern Gannet flight, a Merlin, and recently arrived Red-necked Grebe and 9 Red-breasted Mergansers and you can see why I will be birding here more and more (my once a fall needs to become at least 3-4 visits each season, me thinks). Not the best photo of a Clay-colored Sparrow (can you find it?) that I have taken! 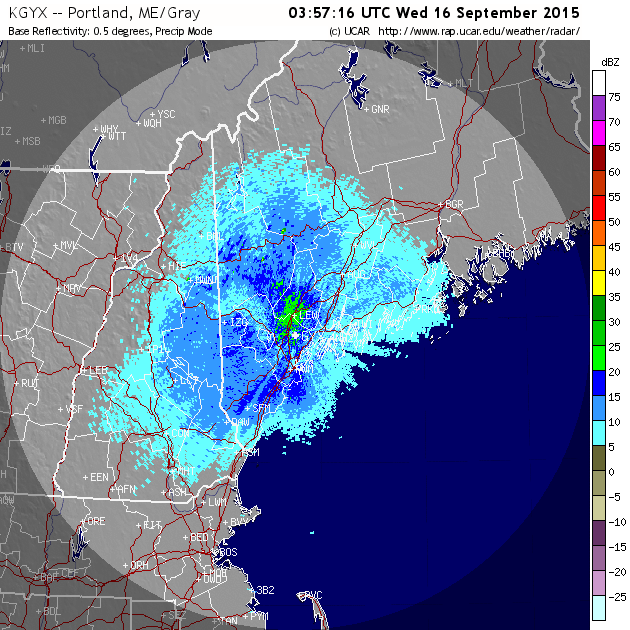 There wasn’t any migration visible on the radar overnight, but there were southwesterly winds – the direction that can help facilitate the arrival of vagrants to the Northeast. But with winds once again rapidly increasing during the day on Monday, the detection of birds was limited. 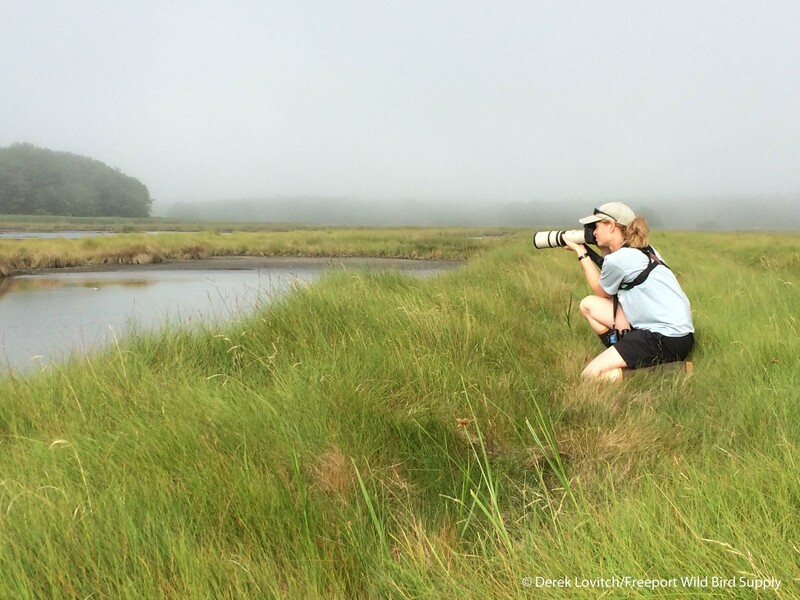 However, Jeannette and I enjoyed a visit to a particularly productive patch of private property in Cape Elizabeth, where a Blue Grosbeak and a Clay-colored Sparrow that I found last week continued. Dark-eyed Juncos increased to 100+ and White-throated Sparrows were up to 50. Other sparrows had decreased, as expected, but there were still 75 or so Song Sparrows, 6 Chipping, and 2 White-crowned, along with about ten each of Swamp and Savannah. Singleton Indigo Bunting and Common Yellowthroats were both getting late. 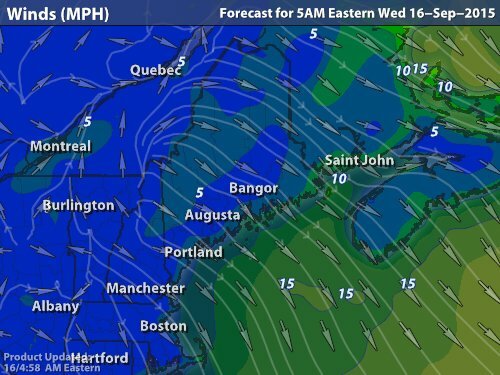 With the low pressure system still spinning over the Maritimes, and another shortwave disturbance rotating through, winds remained gusty through the night. Despite the preferred northwest wind (slowly becoming west through the night) there were just not a lot of migrants willing to deal with the winds and likely resultant turbulence overnight. And the winds were gusty and increasing by dawn once again. 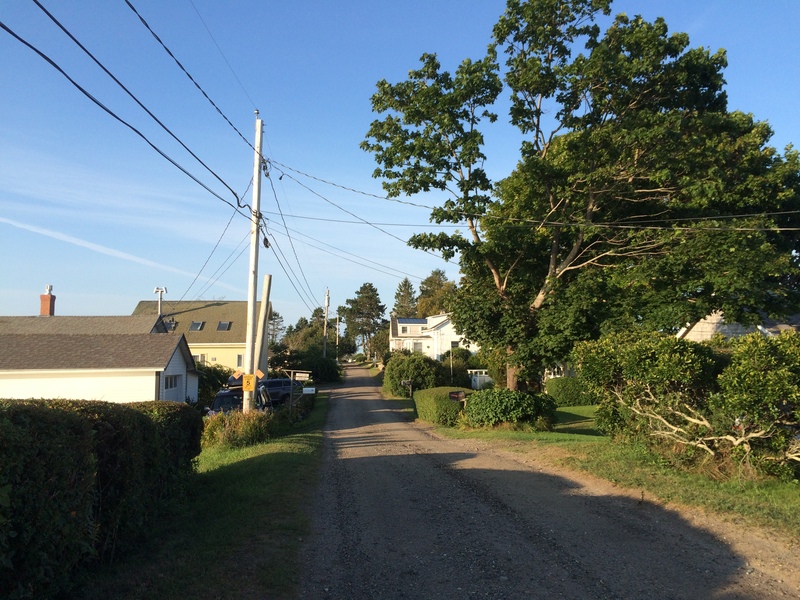 I was in Harpswell for the morning, leading a birdwalk for the Curtis Library as part of their fall reading series. Mitchell Field, a true hotspot at this time of year, was our destination, but it was anything but hot from a temperature perspective! However, there were a bunch of Yellow-rumped Warblers and a few flocks of migrant Common Grackles easily eclipsed 1,000 – a sign that it wasn’t just the birders who were thinking that it’s finally starting to feel like winter is approachintg! 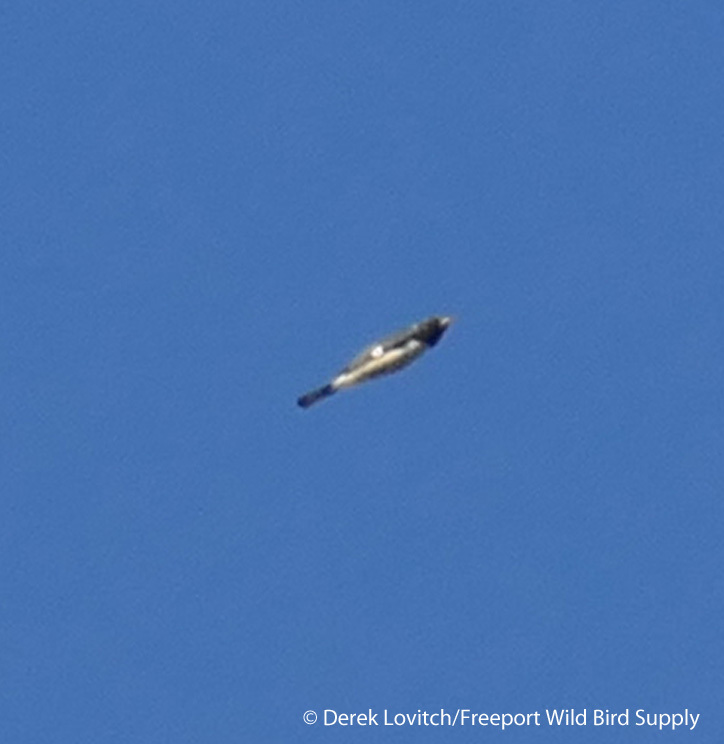 Migrant Turkey Vultures (10), Sharp-shinned Hawks (4), and a trickle of Northern Flickers were also winging it south. 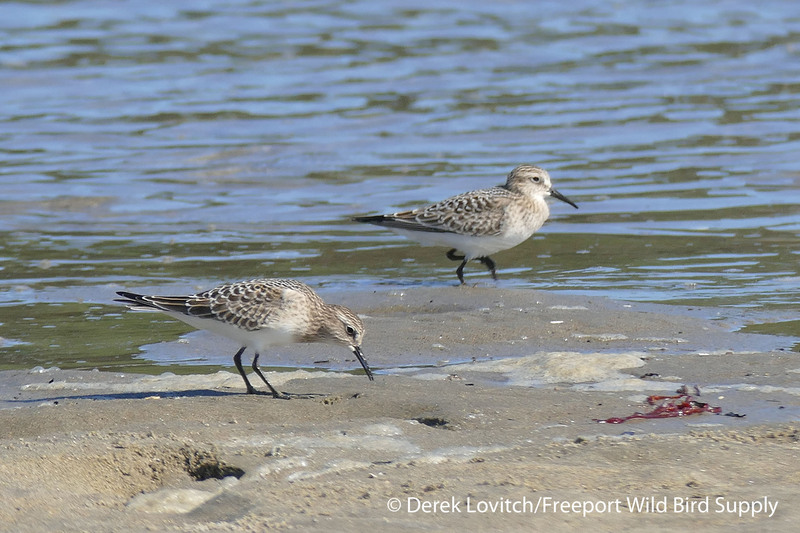 Despite the wind, I poked around a couple of other spots on the peninsula since I was down there, with Stover’s Point yielding a 3 Horned Larks, a “Yellow” Palm Warbler, and 9 Black-bellied Plovers among others. But it was windy! And therefore, Sandy Point wasn’t as great as I had hoped for on Wednesday morning. However, I still enjoyed a respectable morning flight for this time of year. A total of 444 individuals of 22 species were led by 262 American Robins and 82 Common Grackles, but also included my first Fox Sparrow of fall, my 3rd Orange-crowned Warbler of the season (and only the 6th Sandy Point record), and this very tardy (or perhaps, “reverse” or 180-misoriented) migrant Prairie Warbler. 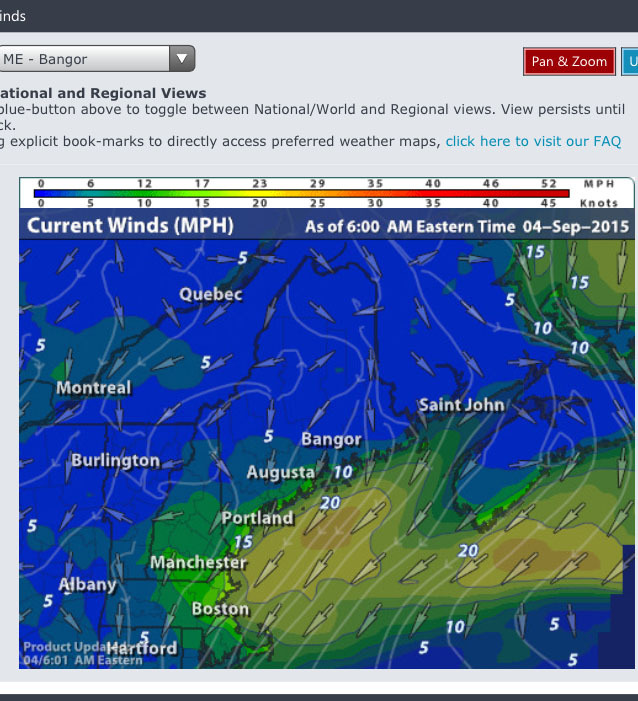 Strong northwest to northerly winds continued through the day, but they are finally expected to lighten up overnight. The current forecast looks good for a big flight tonight, and, if the winds stay more northwest – or at least north – than northeast by morning, I might get a “big one” at Sandy Point. I sure hope so, as I haven’t had a lot of great mornings there this year, between all of my time on Monhegan, our recent quick trip to Cape May, and the overall lack of cold fronts this entire fall. The good news is that it seems to be changing now, and at the very least, a more active weather pattern should not only bring some more rainfall, but some good winds for producing good birding. While weather doesn’t necessarily cause vagrancy of fall migrants, winds certainly facilitate their arrival in far-off places. Hopefully, the onset of cooler weather and more north and northwesterly winds will usher them to the coast and concentrate them in those seasonal hotspots that I will be hitting hard in the coming weeks. Also, this series of strong low pressure systems could in fact displace some birds, or at least get birds that are still on the move a littler further northeast (I am of course, drastically over-simplifying the mechanisms of vagrancy here). At the very least, the little bit of snow to our north and west, colder nights, and the end of our growing season – and resultant greatly diminished numbers of insects and other food sources – should help those patches that get better when the weather turns towards winter. You know I’ll be out looking! So stay tuned to our store’s Facebook feed and other resources, all of which are available at our website, for the latest news. And go birding! Rarity Season is upon us! This entry was posted in Rarities and Vagrants, Weather and tagged "Birds, Birding, Clay-colored Sparrow, Harpswell, migration, Morning flight, Peak's Island, Rarity Season, Sandy Point, vagrants, Weather, Yarmouth on October 26, 2016 by Derek. Over 2,000 migrants. 45 species, including 17 species of warblers. Yeah, it was a good morning to be at Sandy Point! I arrived, as usual, a few minutes before sunrise, but unlike most mornings, birds had already begun to cross. And once the sun crested the horizon, the floodgates open. OK, so it wasn’t “Warblergeddon” at Cape May, but it was fun for me and it was an excellent flight for here. Well, mostly fun. A lot of birds were high, especially as the wind went calm. Big pockets of birds were just too high to identify. I did my best to just keep count. Birds were dropping into the trees on both sides of the road, others were zipping through underneath. As I focused on something in the elm, I am sure I missed birds overhead. It was tough to keep track, but I did my best. By the time I departed at 9:30, the tally was the 7th highest I’ve had at Sandy Point (the 6th highest in September), and by far my best flight of the season to date. It also had some interesting birds, and I’ll analyze some of the numbers below. 61F, clear, West 6.3mph to calm. 1 EASTERN TOWHEE (present in scrub; only 3 previous records here). Black-throated Blue Warbler, male. Look at how the “pocket hankercheif” is blown out by the low sun angle. Several counts were noteworthy, including the two record highs. Tree Swallows usually don’t bother crossing from the island to the mainland via Sandy Point, but more often continue on to the south, crossing the bay with little trouble. Plus, most swallows are probably moving through after I depart in the morning. These birds, mostly in one large and a couple of small groups, were funneling over the bridge along with the rest of the typical Morning Flight migrants. Meanwhile, the 5 White-breasted Nuthatches were noteworthy as I usually see no more than a couple all fall here. The previous record for a single morning was two. As for the higher counts, I was surprised by how large of a percentage of identified migrants were American Redstarts compared to Blackpoll Warblers. However, I think this is an “identification bias.” Redstarts are the easiest warbler to ID for me in flight, and few pass through at almost any height without being identified. I doubt many of the overwhelming “unidentified” count were redstarts. However, I would wager that a sizeable percentage of them were Blackpoll Warblers. Based on the date and what I’m seeing in the woods these days, there should have been a lot more blackpolls. However, these strong fliers are often very high overhead on light winds, and my guess is that the diminishing westerly this morning was of little consequence for them, and that a lot of those little dots overhead were blackpolls. Yesterday, I was lamenting not being at Sandy Point. 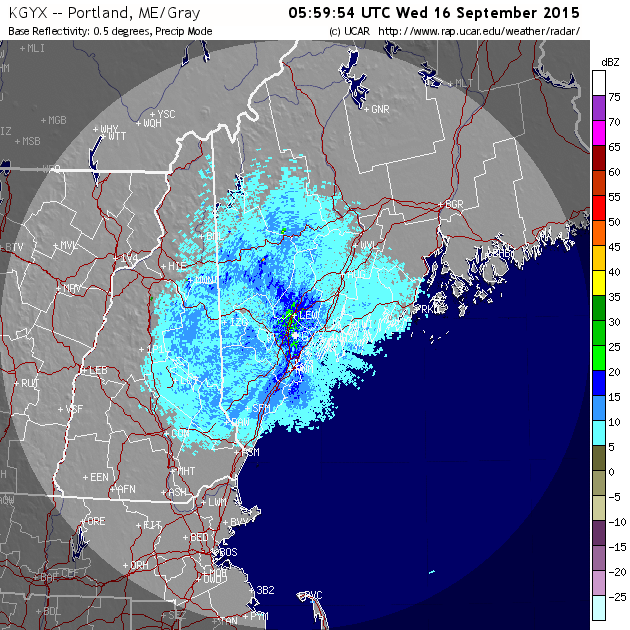 The conditions were great in the morning, and the radar was quite good overnight. However, I was guiding in the Camden area, and at least a little morning flight (ca 100 birds) flew over and through Merryspring Nature Center Park in town. It was a tease to think what might have been going on at “my office” however. 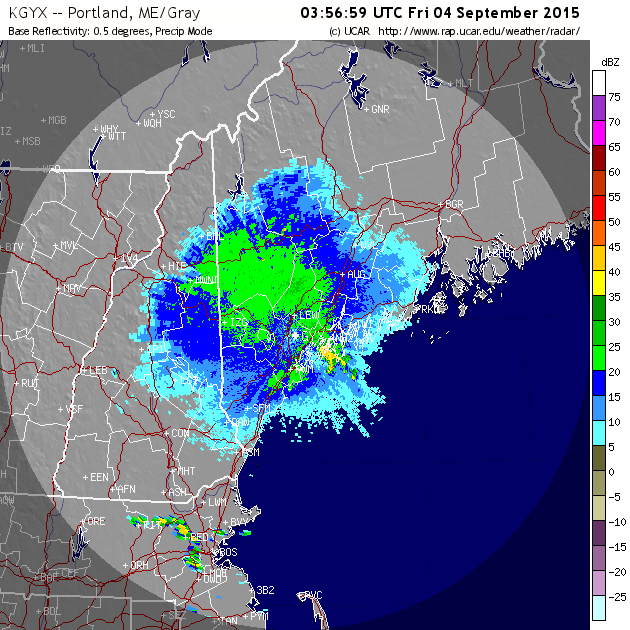 But last night’s radar was even better! Here are the very active 10pm, 12am, 2am, and 4am radar and velocity images from the overnight. 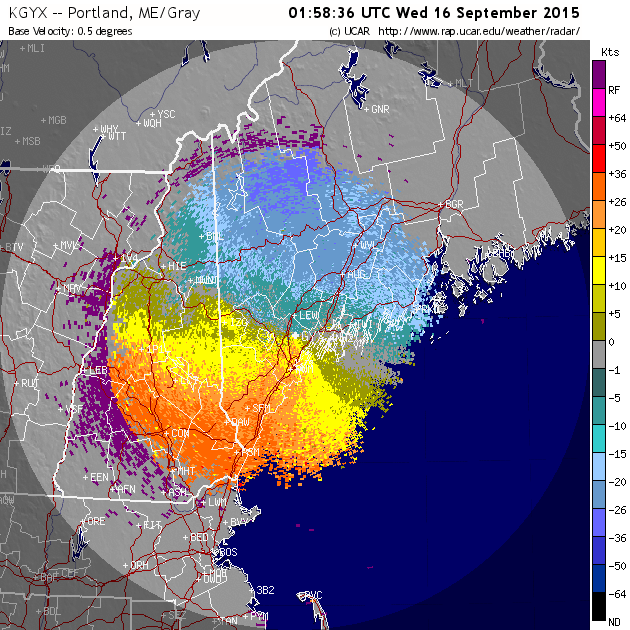 See how much was offshore, even as of 4am? And come dawn, the winds aloft were perfect for a good Morning Flight at Sandy Point. In other words, that’s what produced 2,000 birds at Sandy Point, and with a busy schedule this fall, I was quite pleased to catch one of the big ones. 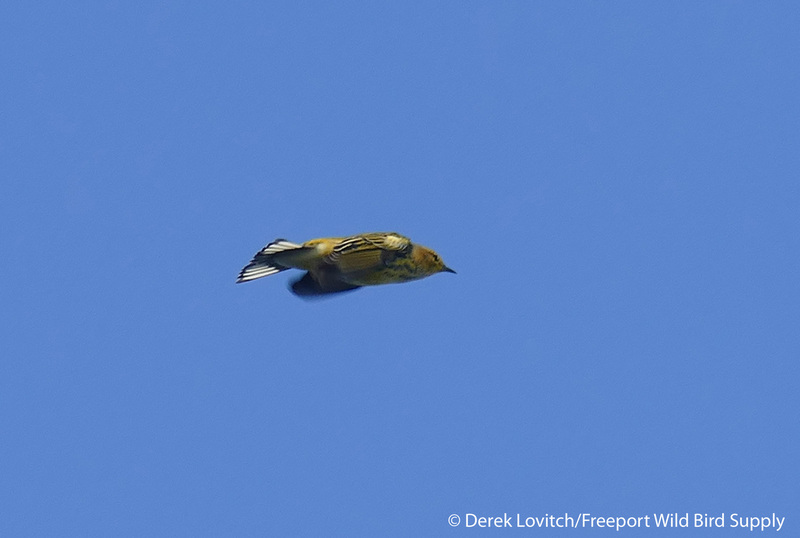 This entry was posted in Birding in Maine, Morning Flight and tagged "Birds, Birding, Cape May Warbler, Morning flight, Northern Parula, radar, Sandy Point, warblers, Weather, White-breasted Nuthatch on September 16, 2015 by Derek. Following yesterday’s cold front, a huge flight was underway come nightfall. It was by far the biggest of the season to date, and one of the stronger (by density) flights as you can see around here. 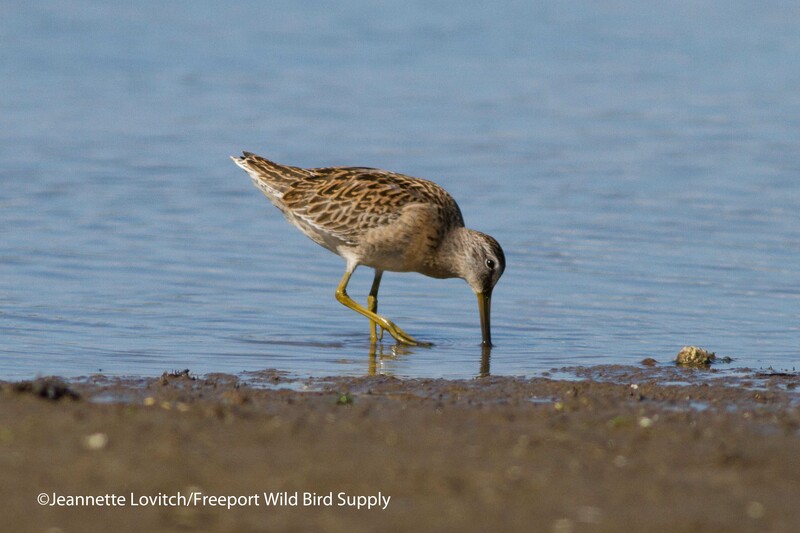 After almost any night in the fall with a little migration, there will be a few birds at Sandy Point. And after a migration as strong as last night’s, there were bound to be some birds. However, due to a combination of geography and the instinct to fly into the wind to compensate for overnight drift (to oversimplify things a bit), there are just never a lot of birds at Sandy Point on northeasterly winds. 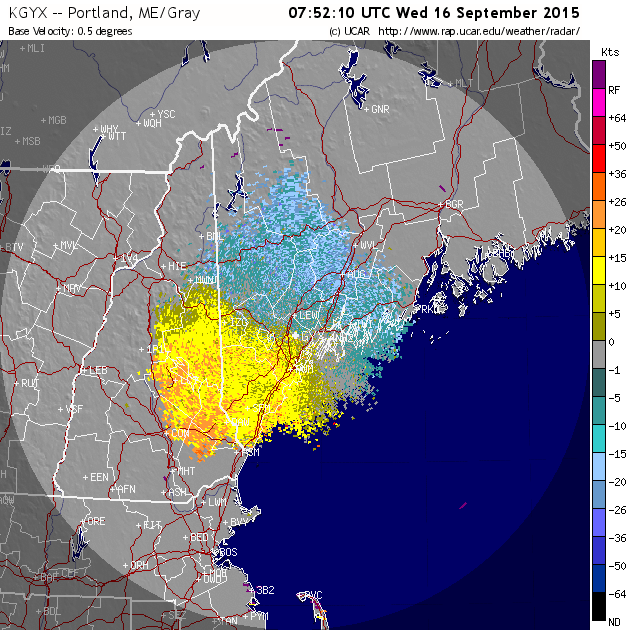 On the other hand, on both north and northeast winds, I have witnessed good morning flights (aka Morning Re-determined Migration” or “Morning Reorientation”) in the south-facing peninsulas that reach into Casco Bay, including the dual peninsulas of Harpswell. What I have not figured out yet, however, is which point is best, how, and when. This is mostly because I can’t tear myself away from Sandy Point long enough to find out! But this morning, as I reached I-295, something made me turn north instead of south. With what was supposed to be an increasing northeasterly wind and a huge flight, this should have been a perfect morning to test my hypotheses at the tip of Harpswell. 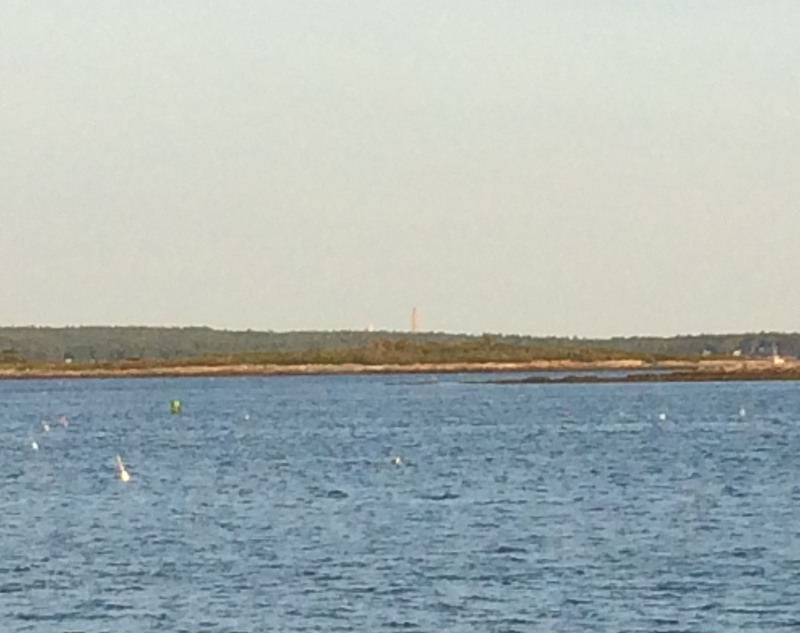 So, with no small feeling of impending regret, I drove down to Pott’s Point at the end of Rte 24 for the dawn. 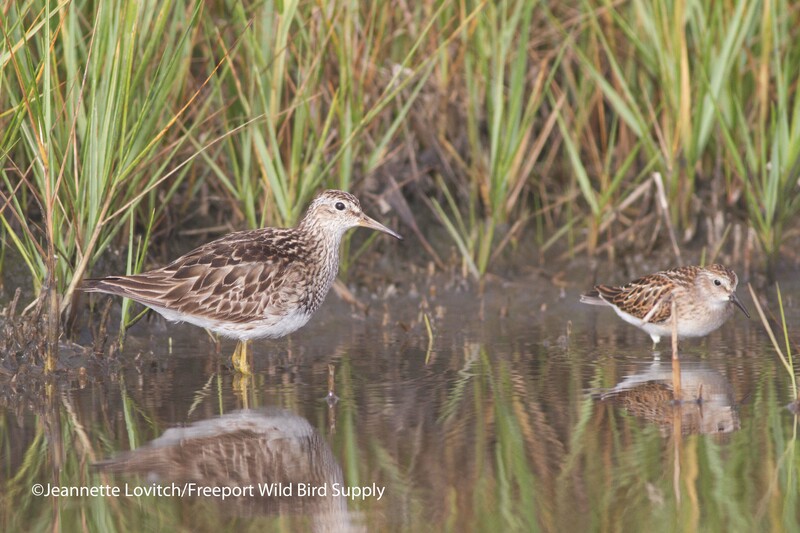 As birds that were over and beyond Casco Bay at sunrise begin to work their way inland and compensate for that drift, island-hopping to the north and northeast deposits birds in the long fingers of the Mid-Coast. Unlike Sandy Point on Cousin’s Island, however, there isn’t a single leading line, perfectly-pointing peninsula, narrow crossing, and raised bridge (for visibility) that combine to offer a perfect morning flight observation location. So I thought today would have been a perfect morning to see if Pott’s Point was the answer on a northeasterly wind, even if it meant missing a few birds at Sandy Point. I arrived at the end of Pott’s Point at 6:27, 20 minutes after sunrise, but found the wind to not be northeast, or even north, but to be north-northwest. Uh-oh, I thought. Now, all of those birds were doing the “right” thing, flying from over the bay or from Haskell Island just to the south, then over Pott’s Point and northward up the peninsula. There were just so few of them! The view of the top of the power plant at the other end of Cousin’s Island was a reminder of what could have been, as Sandy Point is excellent in a NNW wind. Was I missing a huge flight? Or, were the winds northeasterly on the other side of the bay, and only a light flight was passing through there (although it would have undoubtably been better than the “flight” at Pott’s, I will convince myself of the latter!)? Besides, it’s a peaceful spot to spend the morning, with the only traffic being a few lobster boats. 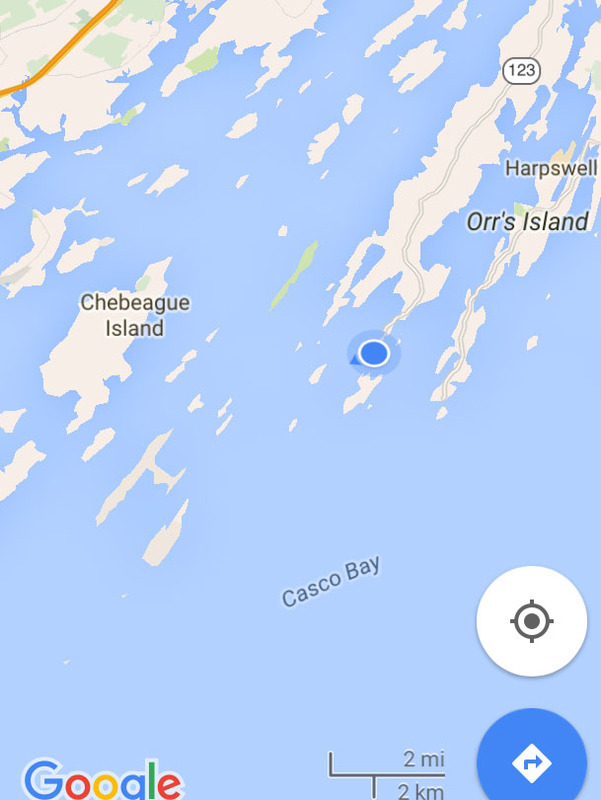 And the narrow peninsula does have a Monhegan-esque feel to it and its birding (sometimes). 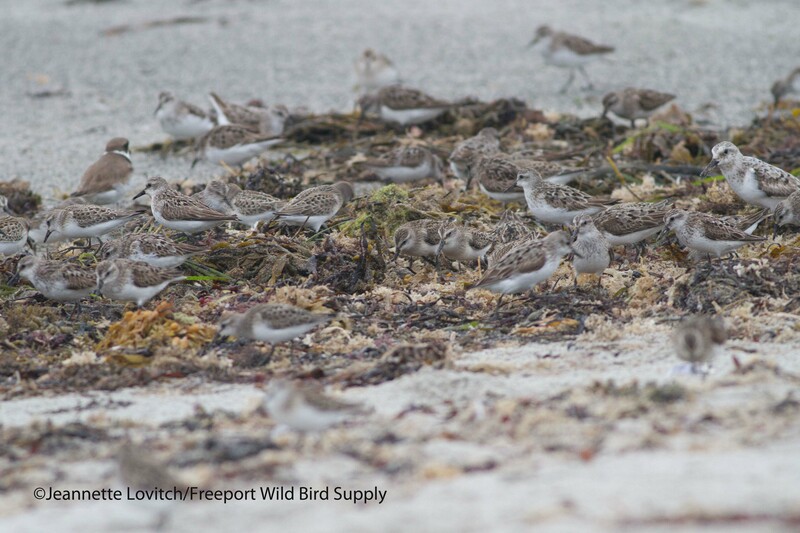 So if the migrants were not at Sandy Point, where was the Morning Flight concentration this morning? 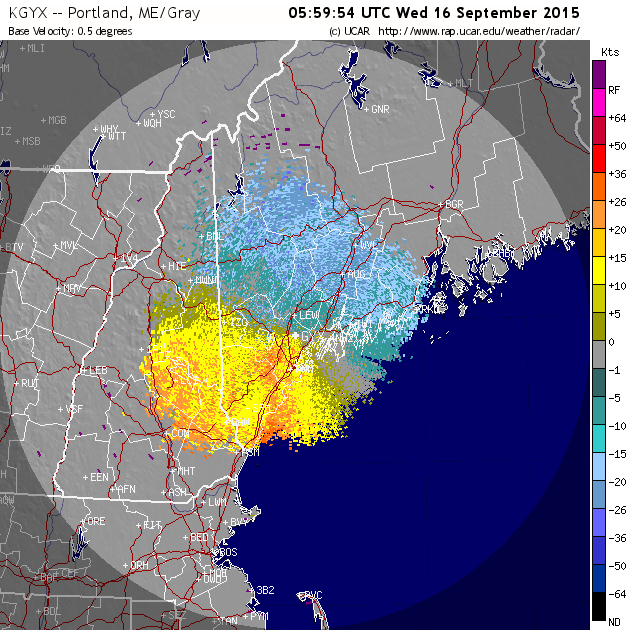 Looking back at the radar images, there was not a ton of offshore drift (due to the lack of a westerly component throughout the night), so maybe there just weren’t a lot of birds offshore come sunrise. But there still looks like more than enough for a good reorientation flight at sunrise. Bascially, I am not only left without an answer to my pursuit of a good Mid-Coast morning flight spot, but now I will no doubt spend the rest of the season being over-cautious about missing a flight at Sandy Point and therefore miss the next huge flight through Pott’s Point on a northeasterly wind! There wasn’t much else left to do but go birding, so I poked my way up the peninsula and into Brunswick, checking a few of the hotspots. Some day I will find a rarity at Stover’s Point, but today wasn’t the day for that either. However, I did have some pretty good birding at Mitchell Field, including a trickle of warblers overhead. A Yellow-bellied Flycatcher and a Lincoln’s Sparrow were highlights, and other migrants present included seven species of warblers. OK, it was small consolation, but at least there were some migrants around Harpswell today! Unfortunately, the wind and weather forecasts for the coming days hardly look good for Sandy Point, so it might be as much as a week before I am back to spending the sunrise at “my office” where I should be! P.S. It’s not too late to sign up for my “Morning Flight Phenomenon on Cousin’s Island” workshop for RSU5 Recreation and Community Education next week. More information and registration details are here. 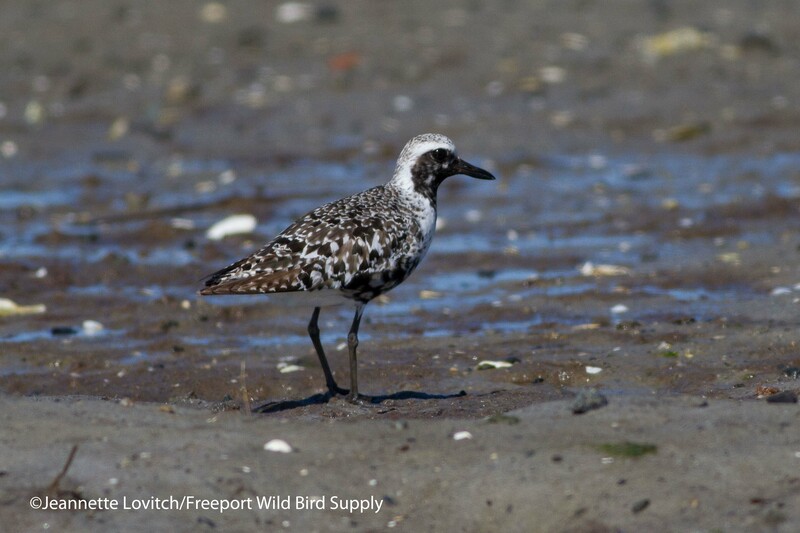 9/5 UPDATE: I received an email this morning from Bill Hancock who was at Sandy Point on Friday and reported it was “dead” and did in fact have a northeasterly wind. Phew! 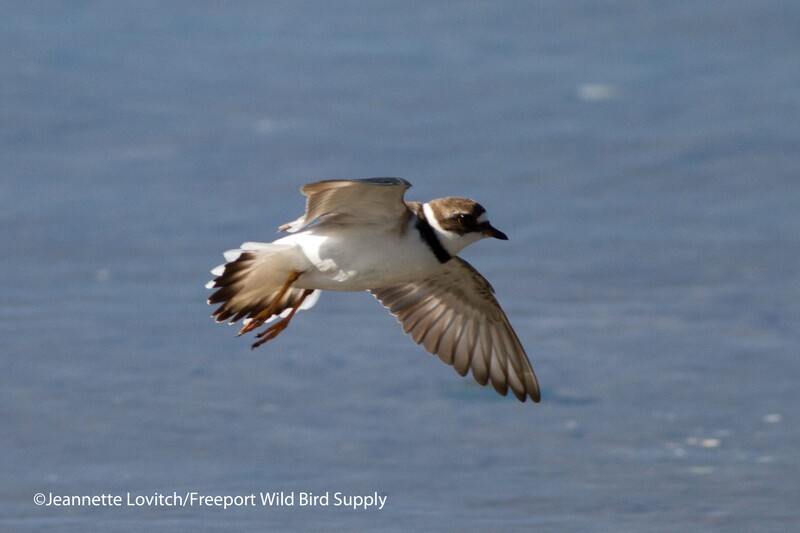 Meanwhile, I tallied 110 migrants on calm conditions on Saturday morning – a very light flight, as expected this time. 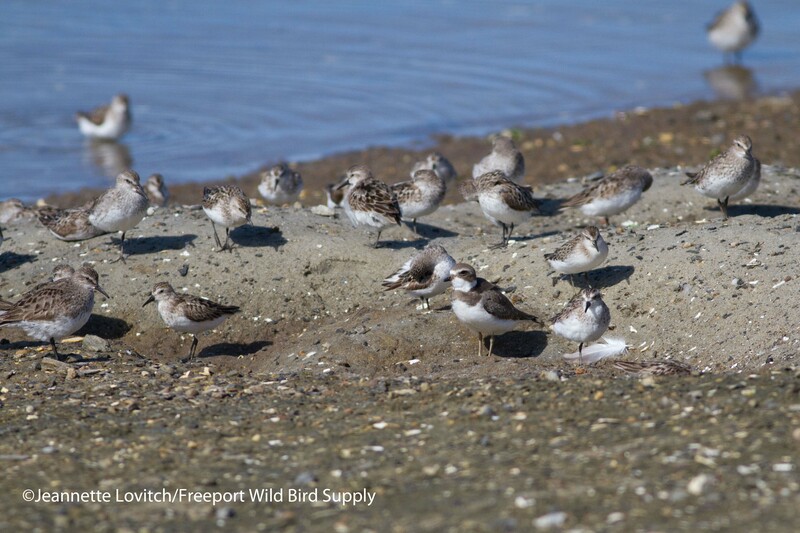 This entry was posted in Birding in Maine, Morning Flight and tagged "Birds, Birding, Cousins Island, Harpswell, migration, Mitchell Field, Morning flight, Pott's Point, Sandy Point, Weather on September 4, 2015 by Derek. Warbler migration is in full swing right now, with at least 10 or more species easily found on most mornings at most productive patches. Nonetheless, I really hate to say it, but in less than 3 months, some of these birds will already be returning home to the Neotropics. In fact, in a little more than three months, I’ll be back at “my office” at the base of the bridge at Sandy Point on Yarmouth’s Cousin’s Island to count southbound migrants! It’s true: the birds we think of as “our” birds that spend the winters in the tropics are actually tropical birds that spend a few months of the year taking advantage of the bounty of insects in the northern forests in the short summer. While it may feel like fall today (after yesterday’s 80-degre temps! ), I only bring this up because the Morning Flight at Sandy Point was on my mind this morning, as I met with Central Maine Power and Lucas Tree. 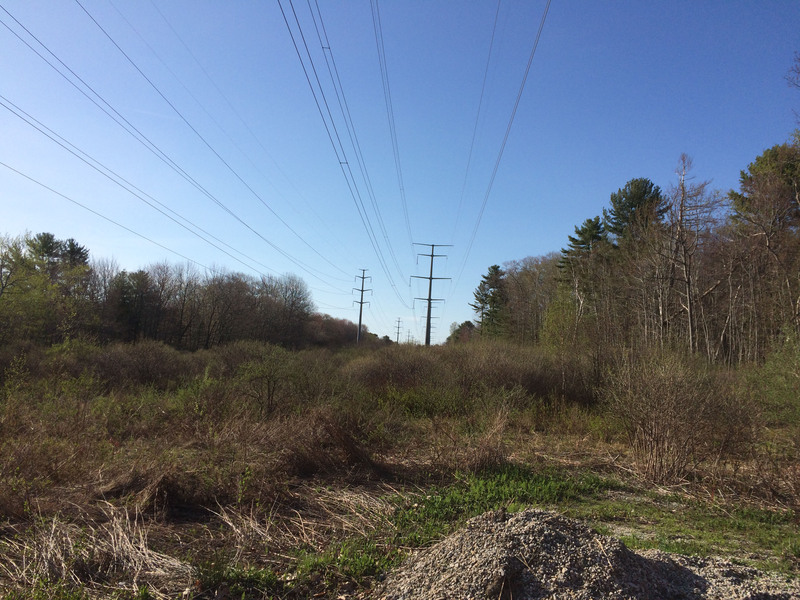 As many of you will remember from the fall of 2011, enhanced maintenance (Federally required) of the high-tension powerline corridor through Sandy Point significantly impacted the most critical migratory bird habitat here. With the help of many of you also calling CMP and sending letters, the clear-cutting was stopped, but much to my chagrin, was resumed in the spring of 2012 without notice. To make a long story short, after several months, an agreement was reached. The agreement and essentially an apology from CMP has been posted on our website ever since. The trees were planted, and the River Birch is doing well. 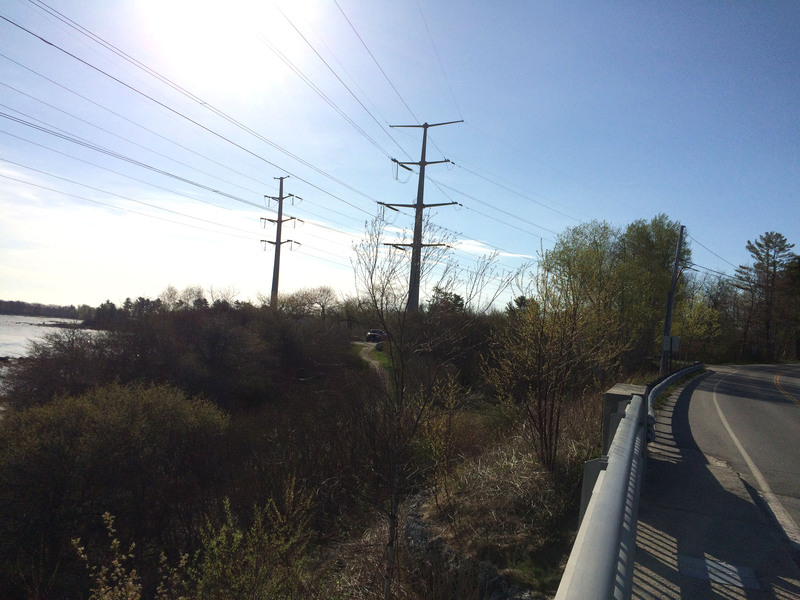 While the Red Oak didn’t make it through last summer, a cherry has naturally resprouted nearby and is currently outperforming the other trees at the base of the bridge – the most critical trees for reorienting migrants. These trees are outside of the critical clearance area under the lines (one of my biggest arguments in the first place) and will continue to grow (excuse the pun) in importance to birds seeking shelter or rest before making the crossing to the mainland. Knowing that Sandy Point was due for the three-year maintenance schedule, I sent a email to CMP this winter, just to check in. I was assured that someone would be in touch this year when this stretch of corridor was due to be cut. And sure enough, last week, Nicholas Hahn of the Vegetation Management division of CMP got in touch, and I met with him and a crew from Lucas Tree this morning to discuss the current cutting regime. First, let me say that I am very happy that CMP honored their commitment to notifying me about upcoming maintenance, and I greatly appreciate the opportunity to offer input. We all agree it’s easier to get on the same page before any work is done. I’m not unreasonable, and I don’t need to get upset any more than I have to. We walked through the site and the trees that needed to be removed or pruned (fast-growing trees that could get too tall before the next scheduled maintenance in three years, aka “capable”) were identified. It all seemed very reasonable to me, and I had no objections. I did make sure the cutting of the Staghorn Sumac patch was kept to a minimum, and Lucas Tree agreed to take out a few bush honeysuckles before they got any bigger and further impacted the valuable Arrowwood Viburnum stands. So all in all, it went very well, in my opinion. There wasn’t much that needed to be done, and this small stretch of corridor will continue to be maintained with the lightest hand possible, offering safety and refuge for tired birds, and exceptional opportunities for us birders. 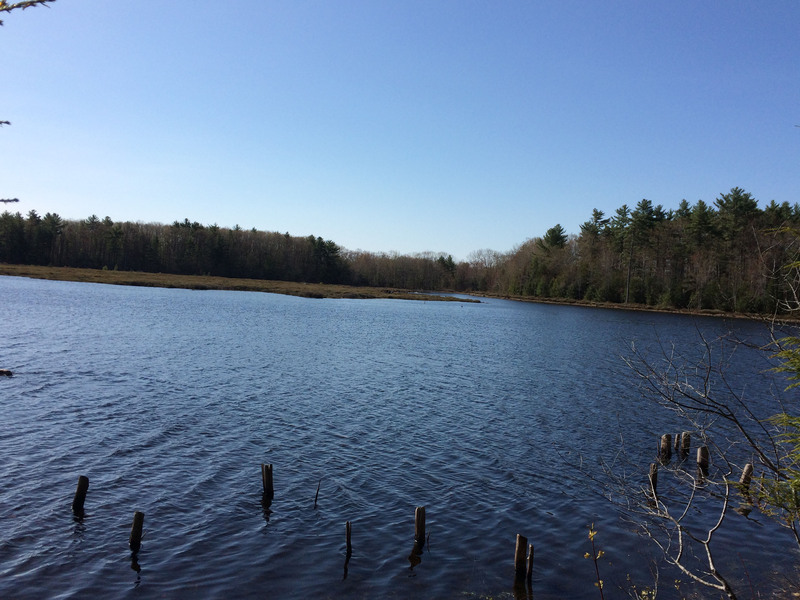 After the meeting, I finally got over to the Knight’s Pond – Blueberry Hill property on the Cumberland/North Yarmouth border that the Royal River Conservation Trust and other organizations have been diligently working to preserve. It’s only my affinities for my local patches at this time of year that has kept me from checking out the preserve sooner. But I am glad I finally did. It was already 8:20am by the time I arrived, and therefore the sunny edges were less busy. And since the deeper woods are not yet too active, the overall birding was a little slow today. However, there’s clearly a lot of potential for birding opportunities here. 10 species of warblers were present this morning, including my first Chestnut-sided and, in the powerline corridor, my first Prairie of the season. My “FOY” Great Crested Flycatcher sounded off, and I was rather surprised to encounter a Black-crowned Night-Heron, a state Threatened (and proposed for upgrading to Endangered species). The pond is big enough to be worth a check in waterfowl migration, and I bet it can host a lot of swallows in early spring. And there’s likely a lot more breeding around its edges and deeper in the woods than what I detected this (still) early spring day. In other words, I will be back, and don’t be surprised to end up here on a future Saturday Morning Birdwalk. This property is a great addition to our local birding patches. Unfortunately, politics has put the purchase at risk. 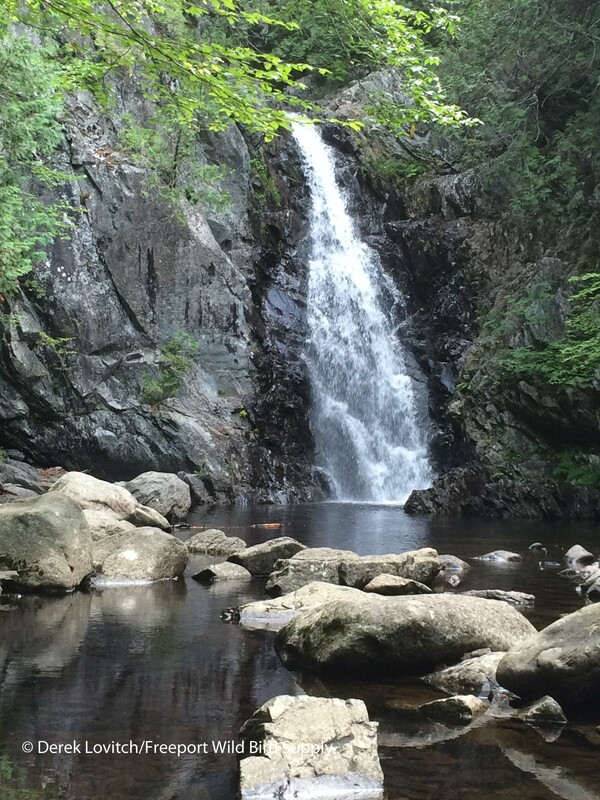 This is one of 30 projects at risk thanks to the Governor’s refusal to release voter-approved bond money for the Lands For Maine’s Future Program. Voter-approved bonds are not political bargaining chips. These have been approved by voters and are not subject to the Governor’s personal approval – he’s not a king, although sometime he tries to act like it. The protection of Knight’s Pond has no relation at all to increased timber harvesting on state land (don’t get me started on that one…deer yard “thinning” anyone?). Hey, I get politics – things are negotiated and compromised. In theory. But as usual, with this “Governor,” it’s not about compromise – it’s about getting his way. We all know how kids change the rules of the game when they’re not winning. I probably did, and you probably did too. And every neighborhood had that kid who, upon not getting his way, took his ball and went home. To me, this is akin to what the Governor is attempting to do – except this is not a child’s playground. 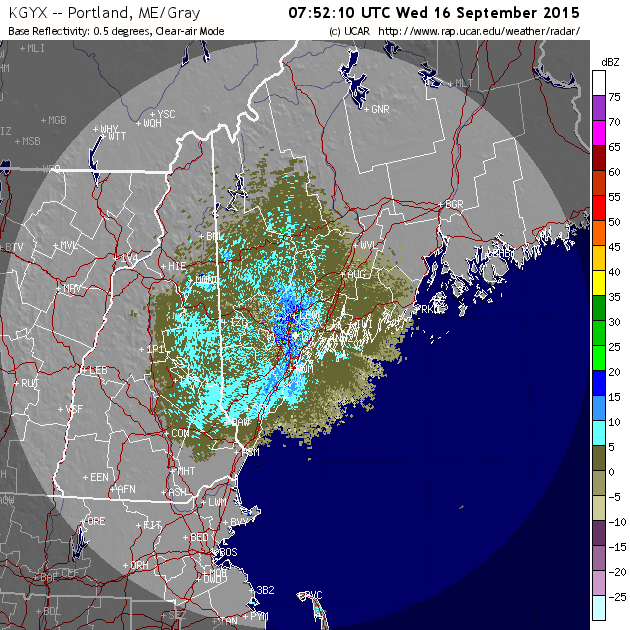 There’s a reason it’s called the “Land for Maine’s Future” program. And the time is now for the Governor to grow up, act like a Governor and not a spoiled child, and release these bonds so this property and other valuable parcels can be conserved for all Mainers – forever – before it’s too late. 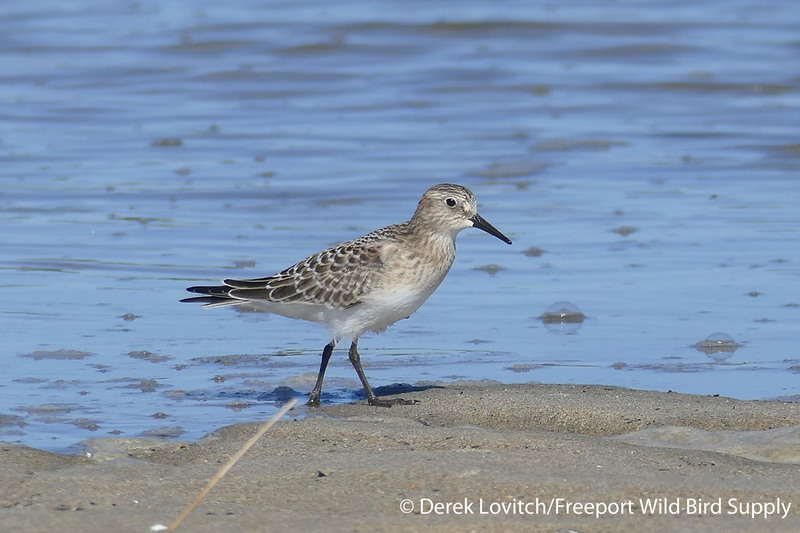 This entry was posted in Uncategorized and tagged "Birds, Advocacy, Birding, Conservation, Cousins Island, Cumberland, Issues, Knights Pond-Blueberry Hill, Land for Maine's Future, migration, Morning flight, North Yarmouth, Sandy Point, Yarmouth on May 8, 2015 by Derek. 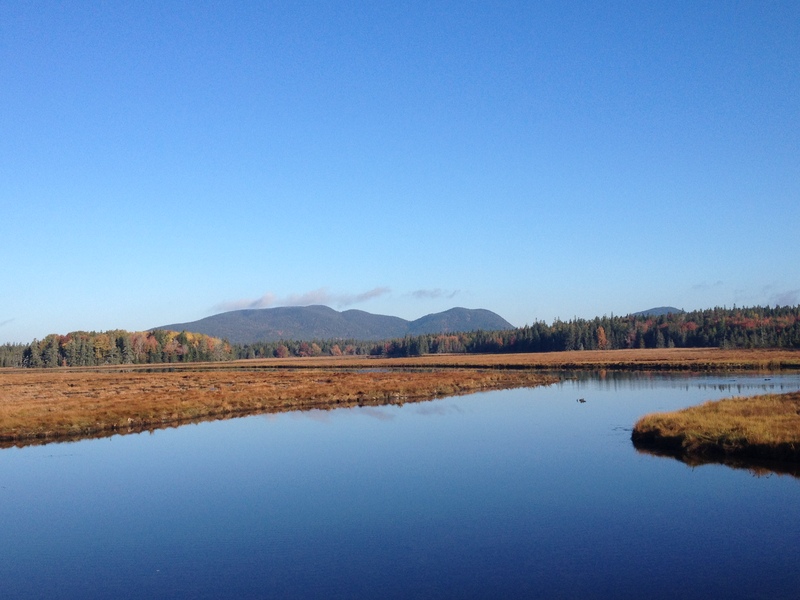 October is my favorite month of birding in Maine. Great diversity, opportunities for observing the thrilling phenomena of migration, an increased chance for rarities, and often-beautiful weather combine to make for exciting times in the field. I keep my schedule as free as possible for the month to maximize my birding time, and luckily, a current project dictates even more time in the field for me. For the past five days, October birding was at its finest, and my adventures nicely summarized what this glorious month has to offer. 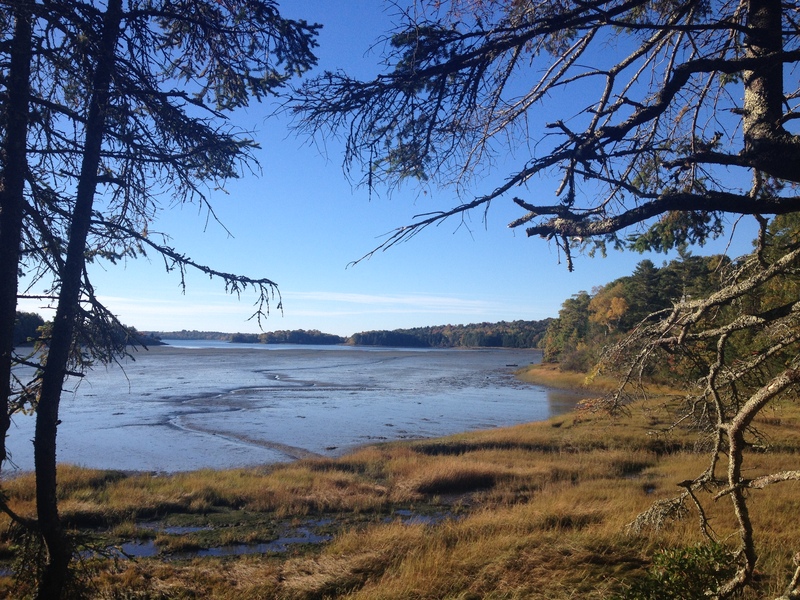 On Friday, I spent the morning exploring 8 preserves of the Harpswell Heritage Land Trust. Six hours and about 5 miles of walking later, I had a better feel for the properties on Harpswell Neck, and their (significant) birding potential. I didn’t find anything out of the ordinary today – best birds were probably the Carolina Wren at Pott’s Point, a Red-bellied Woodpecker at the Skofield Shore Preserve, and a Nelson’s Sparrow at Stover Point – but almost all sites were delightfully birdy. Yellow-rumped Warblers were in abundance (especially at Mitchell Field) and there were plenty of Palm Warblers around (again, especially at Mitchell Field). Other then a few Blackpoll Warblers, my only other warblers were single Pine at Skofield and a Black-throated Blue at the Curtis Farm Preserve. Sparrows were widespread, as were Purple Finches and Pine Siskins, Red-breasted Nuthatches, and increasing waterbirds including a few groups of Surf Scoters. Mitchell Field was definitely the hotspot today, with good numbers of all expected migrants, along with migrant Osprey, a Sharp-shinned Hawk, a single Indigo Bunting, 3 Gray Catbirds, and 5 Monarchs. After several nights with little visible migration (although there’s almost never “no” migration at this time of year! ), clear and mostly light westerly conditions overnight Friday into Saturday produced a huge flight. Unfortunately, come dawn, clouds had rolled in and winds immediately shifted the northeast. Combined, the Sandy Point Morning Flight was reduced to a mere dribble totaling 91 birds, led by 36 Yellow-rumped Warblers. I was then shocked by a relatively slow birdwalk (even sparrow numbers were far lower than I would have expected) at Old Town House Park – where did all of the migrants overnight go? A Brown Thrasher was a good bird for here though. 38F, clear, NW 5.1 to calm to WNW 4.7mph. 768 Yellow-rumped Warblers (*New Record). 421 Ruby-crowned Kinglets (*2nd highest). 62 Black-capped Chickadees (*New a Record). 26 Purple Finches (*New Record High). 20 Rusty Blackbirds (*Tied Record High). 11 Savannah Sparrows (*New Record). 2 WHITE-BREASTED NUTHATCHES (*tied record high). Total = 1798 (*3rd Highest October Count). Afterwards, I began a quick trek east, visiting a friend in Camden, and having dinner with friends in Bar Harbor. 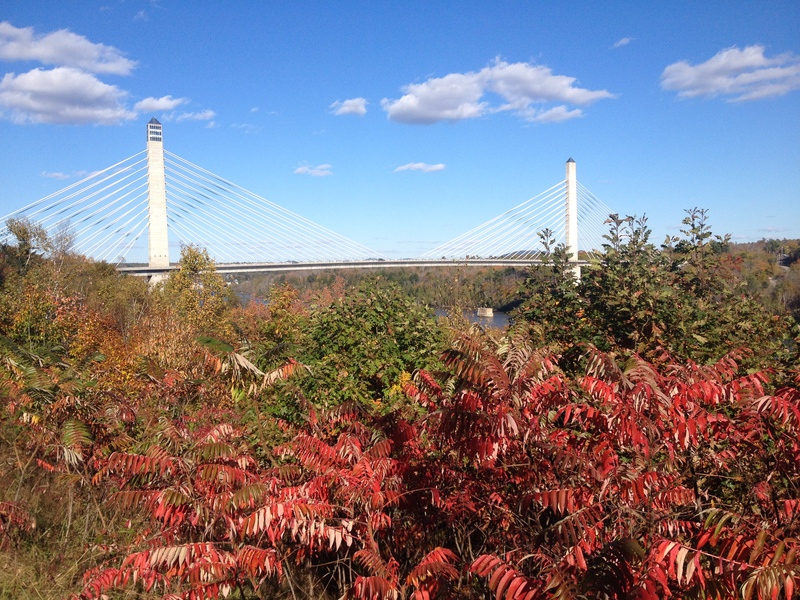 In between, I enjoyed a little casual birding, and the fall foliage. 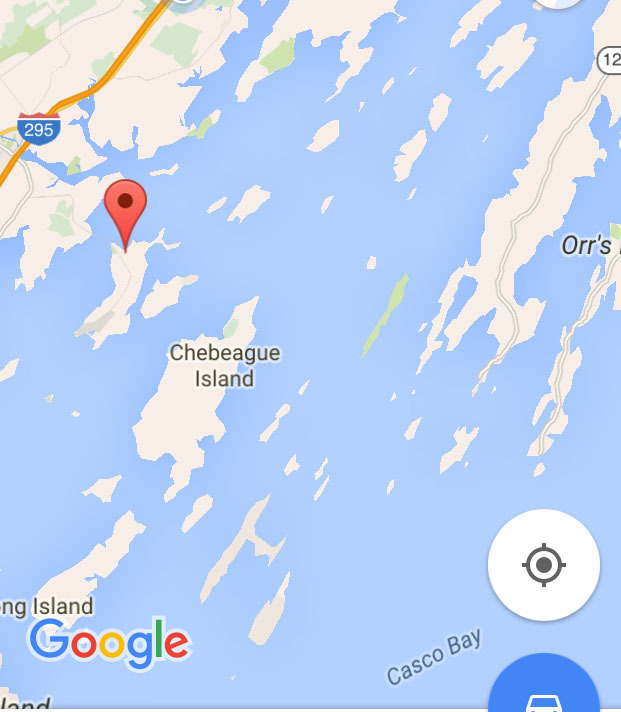 On Sunday, Rich MacDonald and I did a little birding on the western half of Mount Desert Island. An “interior/bay” subspecies of Nelson’s Sparrow at Back Beach in Tremont was a highlight, as was a nice variety of birds off Seawall Beach, including an unseasonable 148 Laughing Gulls. 20 Red-necked Grebes and about a dozen White-winged Scoters were also present. 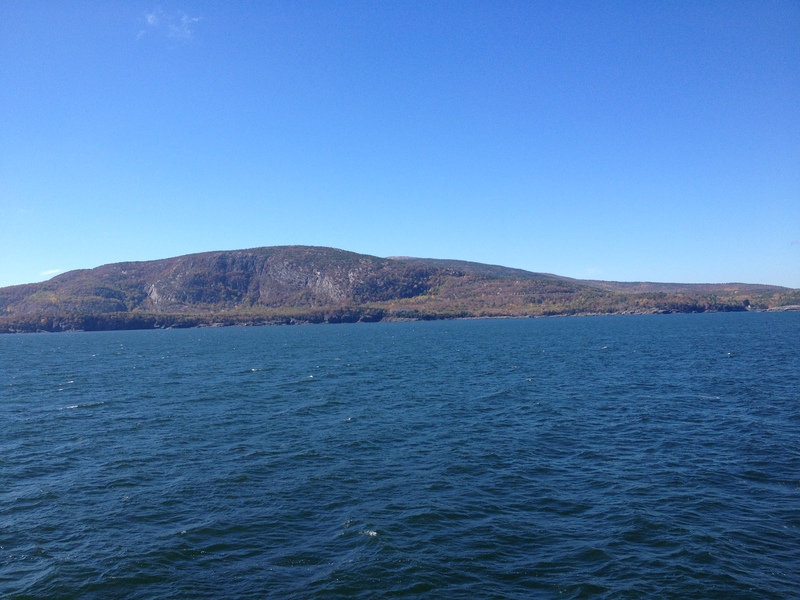 At noon, we boarded the Friendship V of the Bar Harbor Whale Watch for 3.5 hours offshore. I was really hoping for a Great Skua – my real reason (legitimate excuses aside) for this trip, afterall – but it was a rather slow day on the water. But hey, any day with a jaeger is a good day in my book, and we saw 3 Pomarines. 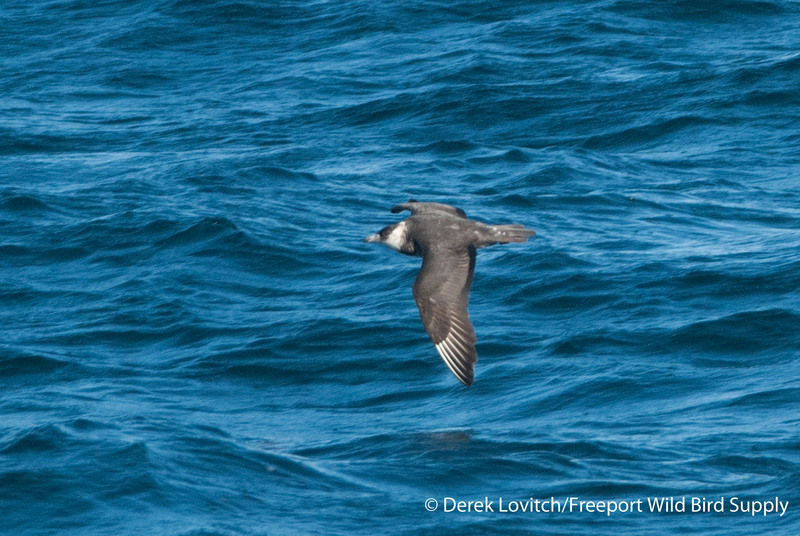 18 Northern Fulmars were a treat, but birds-of-the-trip honors goes to a rather unseasonable Manx Shearwater. A single Great Shearwater, Black-legged Kittiwake, and a measly 3 Northern Gannets were all we could muster. Apparently, those northwesterly winds that finally gave me my flight at Sandy Point also pushed sea creatures out from these waters! 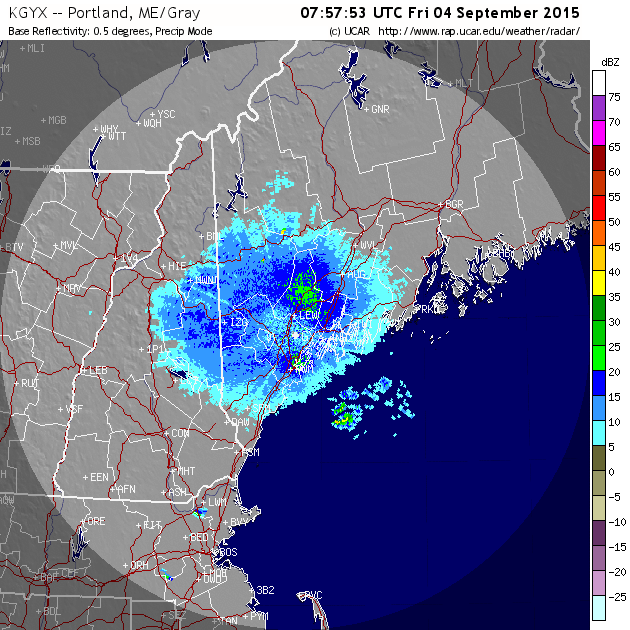 It was a quick trip Downeast, so I was home by Monday night, and in the morning – following a night with a return to southwesterly winds and no visible migration on the radar – Jeannette and I headed in the other direction. A ridiculously gorgeous day (light winds, temps in the low 70’s!) encouraged us to spend all daylight hours outside and birding hard, covering our usually route between Kittery and Wells. As usually, Fort Foster provided the highlights, led by a White-eyed Vireo and an Orange-crowned Warbler. Another Orange-crowned was at Seapoint Beach, an “Ipswich” Savannah Sparrow was in The Nubble neighborhood, 12 Brown-headed Cowbirds were at the feeders behind The Sweatshirt Shop in Wells, and Community Park hosted a Nelson’s Sparrow (ssp. subvirgatus). Ten (and a half) species of sparrows (Eastern Towhee, Chipping, Savannah – plus “Ipswich,” Nelson’s, Song, Lincoln’s, Swamp, White-throated, White-crowned, and Dark-eyed Juncos) and six species of warblers (Orange-crowned, Black-throated Blue, Pine, Palm, Yellow-rumped, and Common Yellowthroat) were tallied, along with six species of butterflies (including a few dozen Monarchs). Throughout the day we encountered lots of Yellow-rumped Warblers, Song and White-throated Sparrows, along with most of the regular October migrants from Horned Grebes (FOF) to Ruby-crowned Kinglets. So there you have it. That’s just a sample of what mid-October has to offer here in Maine. What’s left? Finding that “Mega” rarity of course! 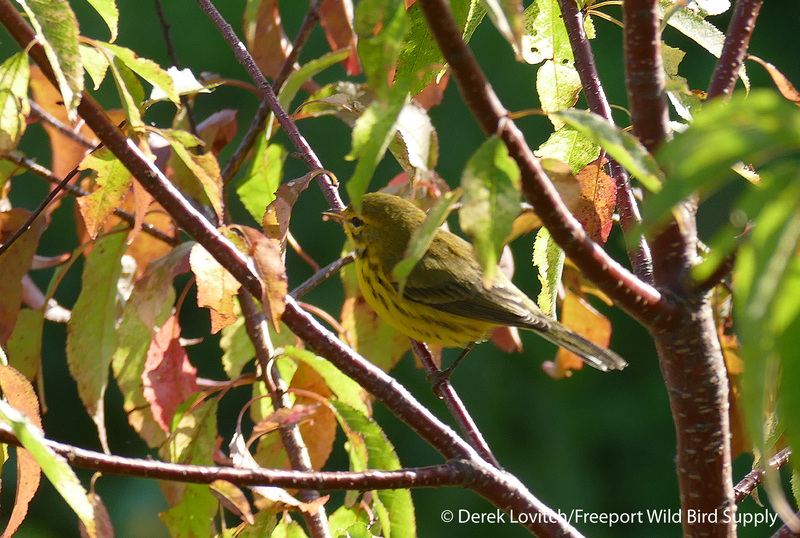 This entry was posted in Birding in Maine and tagged "Birds, Acadia National Park, Birding, Fort Foster, Kittery, migration, Morning flight, Mount Desert Island, Orange-crowned Warbler, pelagics, Pomarine Jaeger, Sandy Point, sparrows, warblers, Weather, White-eyed Vireo on October 15, 2014 by Derek.